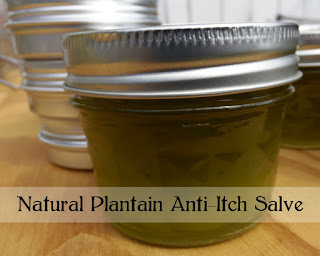 I used the MB2E from Magical Butter * to make this salve really easily- but I'll include instructions for making it without using the machine too. 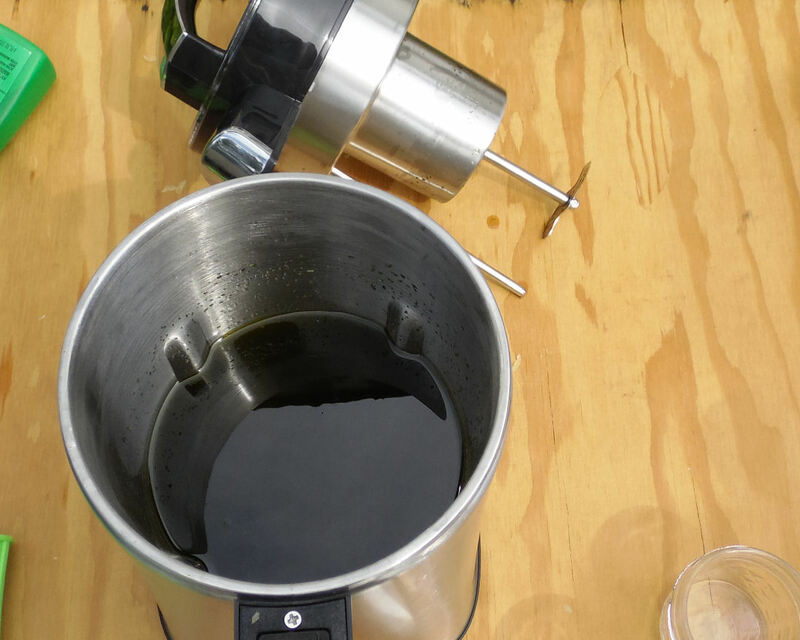 The Magical Butter machine is meant for making butters and oils using various botanicals. The way it works is just fantastic for salves made from wildcrafted ingredients. 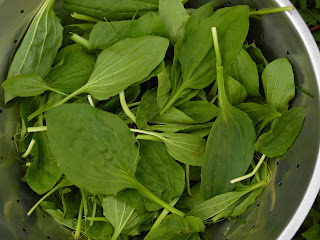 Plantain- not the banana type fruit, is one of the most common weeds in the USA. 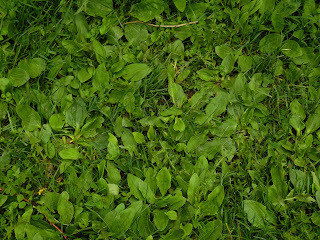 It likes disturbed soil like driveways and stuff- or in my case, my deliberately weedy yard. 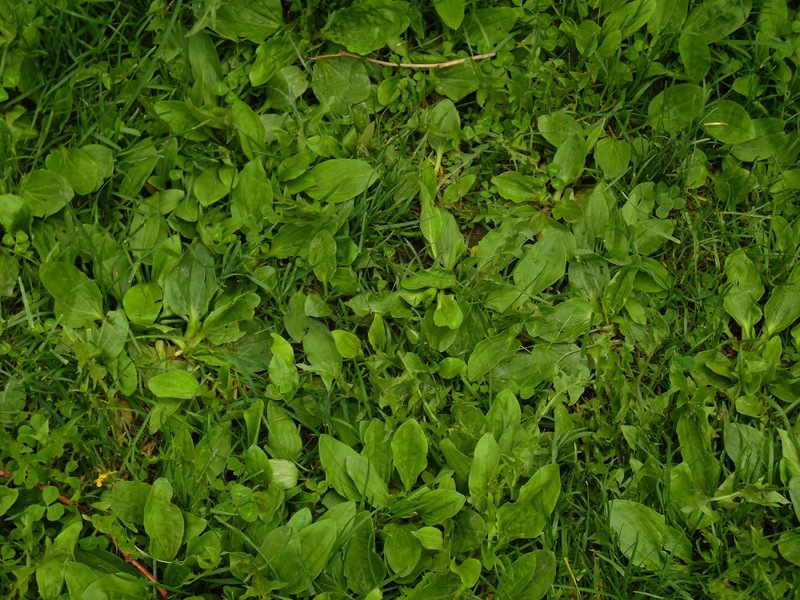 The only thing that's been used on my yard in the 16 years I've lived here is a lawn mower. It's fantastically soothing for itchy skin. I am not a medical professional or a scientist, this is my opinion and this works well for me. So the first thing you'll need to do is find a fair amount of plantain. Fortunately, I have a broad swathe of it in my yard. Pick about 3 cups of healthy leaves. Rinse them, put them in a salad spinner to dry, then spread them in a single layer in shallow pans to dry until quite crisp. When they are dry, it's time to collect your materials. 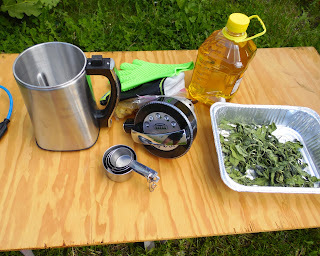 4 cups pure olive oil- don't bother with extra virgin. I don't for salves! Combine the oil and crushed leaves in a pan. Simmer over a very low heat for 4 hours. Strain out leaves. The oil should be green. Set aside. Set up double boiler with at least a 6 cup capacity. 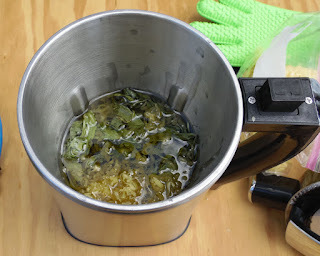 Mix the infused oil and the beeswax and melt together, stirring often. 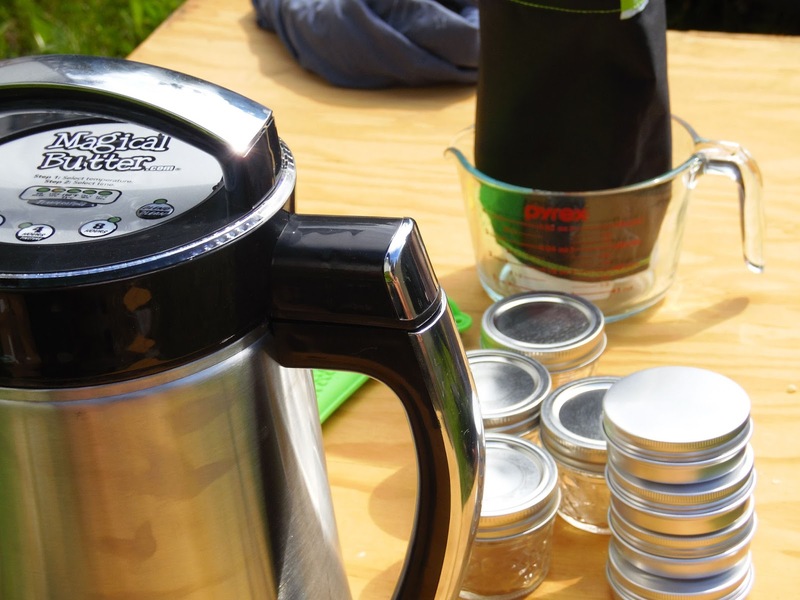 Pour into tins and jars. I find it's easier to pour from a spouted glass measuring cup and have a 4 cup one. You'll put in all the ingredients. Crushing the leaves is not necessary. Then set it at 130 degrees and for 2 hours. 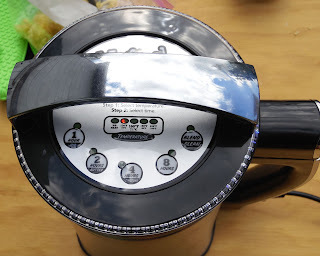 The MB2 has a blender in it and it stirs and blends as it works. The botanical matter is shredded into a fine paste. It will beep when it's done. Set up the included Purify Filter, and put on the LoveGlove to squeeze all the oil out. Then you'll pour it into tins and jars. Label the tins and jars with the date and type of salve you've made. Keep in a cool dark place, but also keep one in your car for bug bites and quick first aid, and keep one in your medicine cabinet. Clean up is a cinch. The Purify Filter can be hand washed, the MB2 has a self-cleaning cycle. Just follow the included instructions. * The link will give you a 25 dollar discount on buying a machine of your own. It is an affiliate link.